Written by Denee Menghini. Media by Bri Phillips. Let’s face it; The Bachelor in GC terms is equivalent to the most eligible Joy Boy starting the year off dating an entire floor of Burritt, only to find himself with one lucky lady just in time to give her a ring by spring. While it is agreed that this type of behavior would be deemed inacceptable on our campus, damaging to our intentional Christian community, and probably against the lifestyle statement, we find it a perfectly acceptable form of entertainment. Add to the mix the fact that the contestants range from single mothers to straight up crazy ladies and you have The Bachelor. So, it seems, the women of Greenville College faithfully tune in to The Bachelor each Monday night in order to escape from the reality of campus dating and relationships. One could even argue that by spending each week following the dramatic dating lives of these women, GC ladies have the opportunity to live vicariously through the show. However, another less obvious explanation exists. 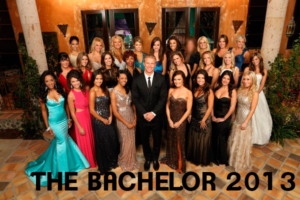 In this article we will explore the possibility that The Bachelor is so appealing to Greenville College women because it actually provides a representation of events that are quite similar to our personal experiences. All that being said, perhaps the best way to examine the similarities and differences between The Bachelor and the reality of our GC lives is to lay out some scenarios that occur on the show and then look at how those situations would play out on Greenville’s campus. So, let’s have a little fun with what a Greenville College season of The Bachelor would look like. Scenario 1: Girl gets super drunk during the first cocktail party and makes a fool of herself in front of the Bachelor. Seems surprised when she does not receive a rose. Scenario 2: The girls in the house start to band together against the one crazy girl. All of the viewers know she’s crazy, but no one in the house can decide who will tell the Bachelor. Naturally, the girl who does tell gets sent home. GC Version: Everyone on the floor knows that the girl with the single room is super high maintenance and totally not right for the Joy Boy. The RC, being the leader that she is, decides to let Joy Boy know. One open door night later, she’s been dumped. Scenario 3: One on one dates are about to begin. All of the girls want to get alone time with the Bachelor. Excitement fills the girl who receives the first date card, until she finds out that her date is an afternoon of repelling down a 30-story building. GC Version: Late one night after Vespers, it happens. Joy Boy singles out one of his lady friends and asks her if they can spend some time alone over the weekend. She eagerly agrees only to discover that alone time equals completing a team building course in the gullies, in the rain. Scenario 4: After weeks of dates, cocktail parties, and rose ceremonies, the Bachelor has narrowed his choices down to four women. These very lucky ladies get to take the Bachelor home to meet their families and see where they live. GC Version: At Greenville College, this process takes place over a series of months. In the fall semester, Joy Boy spends fall break with the girl he has the strongest connection with at that point in the process. He visits a girl who lives relatively close to his home over Thanksgiving. Unfortunately this particular girl is a Black Friday crazy and the relationship doesn’t survive. In the spring he takes several girls on a dream spring break to PCB. Easter is an especially important religious holiday, so this particular hometown date is crucial. Scenario 5: The Bachelor has narrowed his choices down to three. At this point he has the opportunity to spend a night with each woman in the Fantasy Suite. This is the only time that the option of an overnight date is offered, so the girls are always eager to spend extra time “building a connection” with the Bachelor. GC Version: Joy Boy is able to take each of his final three on a late night walk around Greenville. This is the perfect opportunity for deep conversation about life, love, and of course their walk with the Lord. Scenario 6: Finally, twenty something women have been narrowed down to two. 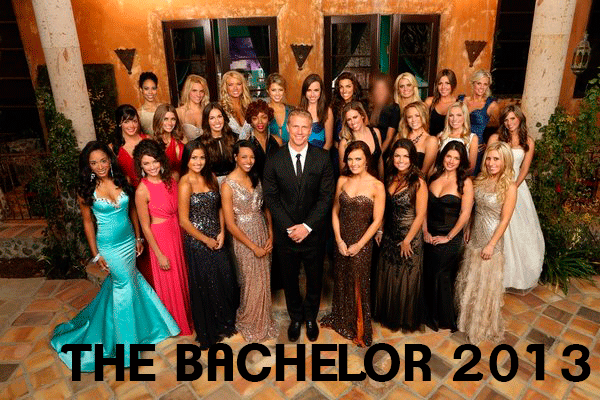 All that is left in the season is for the Bachelor’s choice to be revealed. One girl will leave heartbroken and the other engaged. After heartfelt speeches to both girls, the Bachelor tells the world which girl he chooses and the happy couple goes on to breakup anywhere from two to six months later. GC Version: At this point in our Greenville Bachelor, nearly an entire floor of Burritt has been dumped by one Joy Boy, but the hopes of two girls remain intact. Both girls, being Commercial Music majors, perform a senior voice recital during the same weekend. At the end of the recital, Joy Boy reveals his decision. One girl gets a bouquet of flowers; the other gets flowers and an engagement ring. The happy couple goes on to get married anywhere from two to six months later and live happily ever after. Disclaimer: I am in no way encouraging a Joy Boy (or any other boy on campus) to attempt to date an entire floor of Burritt (or any other floor of all females) simultaneously. However, if such a situation should arise please notify the Papyrus so we can properly document the attempt. So, in summary, we have learned that watching The Bachelor can be strikingly similar to navigating the world of relationships on Greenville’s campus. After a season or year of highs and lows, love and heartbreak, and a lot of drama, one can’t help but feel exhausted. Thankfully, we all have the summer break to look forward to: a time of rest, relaxation, and of course Bachelor Pad (see GC class reunions).